WELCOME TO BEARY BLESSED-- Step inside this cozy log cabin and make yourself at home. This cabin features magnificent views, an open floor plan, cathedral ceilings, hardwood floors, flat-screen TVs and a warm fireplace in the main living area. Two-story windows offer spectacular views of the surrounding mountains and flood the house with natural light. WATERFALL NEAR CABIN THAT MAKES GREAT PLACE FOR FAMILY PHOTOS. Suitable for Honeymooners or a family of 6. Fully equipped kitchen with everything needed for meal preparation. We are avid Smoky Mountain travelers and are excited to own a Cabin in the mountains. We welcome you to our cabin and hope you enjoy your stay in our home as much as we do. My wife and I proudly serve as Associate Pastors in our local church and are thankful for the many Blessings God brings to our lives. We have always enjoyed bringing our children here, and are continuing that tradition with our Grandson. This cabin offers an excellent location with beautiful mountain views. LOVED staying here. I'm a huge bear fan and the decor in this cabin was simply adorable and tastefully done. Regina & Mack were super wonderful to work with and any questions, etc. I had they answered without fail and very promptly. Please enjoy all the "niceties" they've provided -- some very thoughtful and entertaining things within the cabin that I'm pretty sure one doesn't see in too many others. The location of the cabin is great with respect to Gatlinburg as well as to entrance to the National Park. And the views were beautiful. A word to the wise: If plugging in the address on your GPS, please note that OUR GPS told us to turn Right onto Pinnacle when, in fact, you should turn left. The only blip in an otherwise wonderful 4 nights! We hope to return one day. Very comfortable and clean. Great location to everything down. Had a blast! We absolutely loved Beary Blessed! It had a beautiful view and was so nice and tidy. We wish we could’ve stayed longer! Mack and Regina were so sweet and answered any questions that we had. The cabin was close to town but still far enough away for privacy and serenity. We hope to stay at Beary Blessed if we visit Gatlinburg again! Clean, beautiful, quiet, and relaxing! 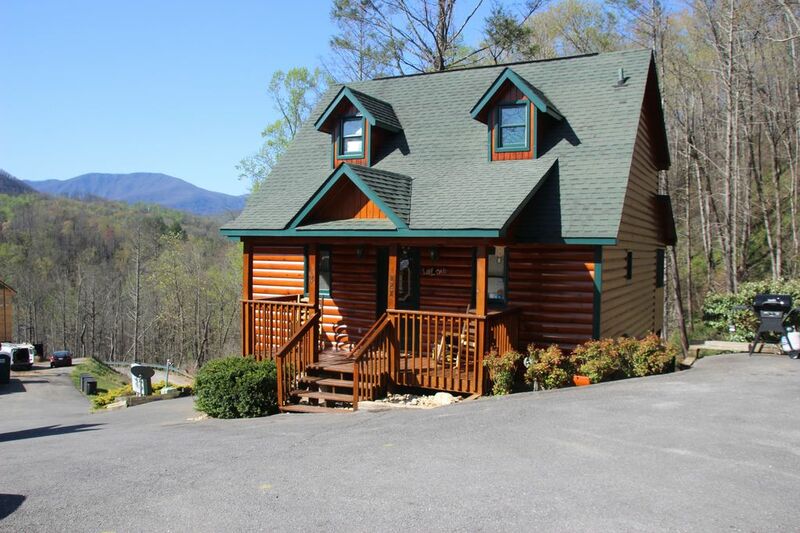 Excellent cabin in a perfect location, close to downtown Gatlinburg! Will definitely rent this cabin again!